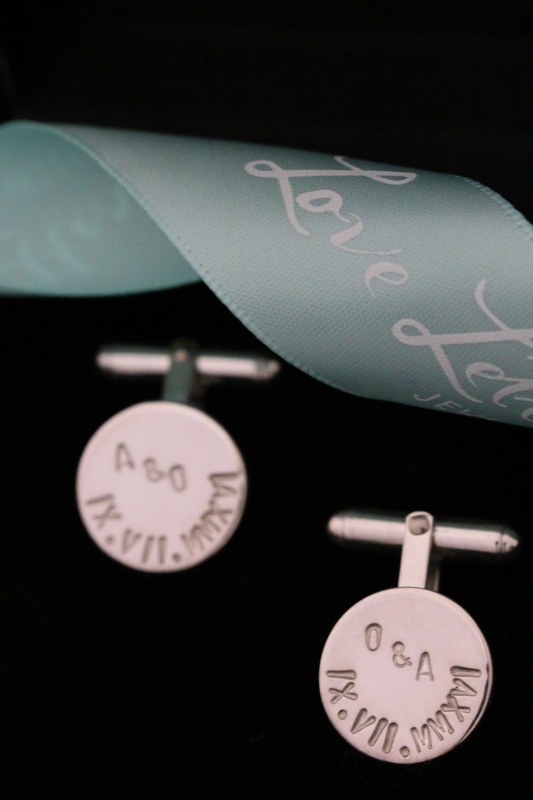 A stunning pair of Love Letters personalised cufflinks gifted from Mother in-law to future Son in-law to wear on their wedding day. The stamped lettering has been left natural rather than blackened and features both the bride and grooms initials and wedding date in striking roman numerals. Congratulations to Olivier & Annabel on their recent marriage in the romance capital, Paris!